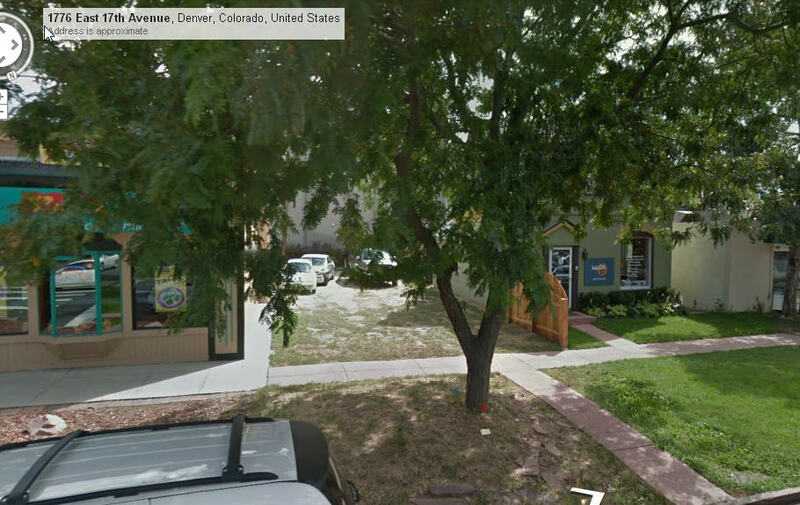 Several months ago I had some fun trying to track down a reference in the book to an early abode of Bob Dylan – apparently when he was residing in Denver back in 1959 or so and playing informally at the Satire Lounge on Colfax (yes it is still there today). If you go into the Satire today you will see a single unassuming tribute to Bob Dylan and his time there – a photo on the wall. Sort of hard to imagine someone of his stature sitting on a little stool strumming his acoustic – maybe singing a Woody Guthrie tune. Dylan (then Robert Zimmerman) ventured into Denver as a teen in search of a minstrels’ experience. 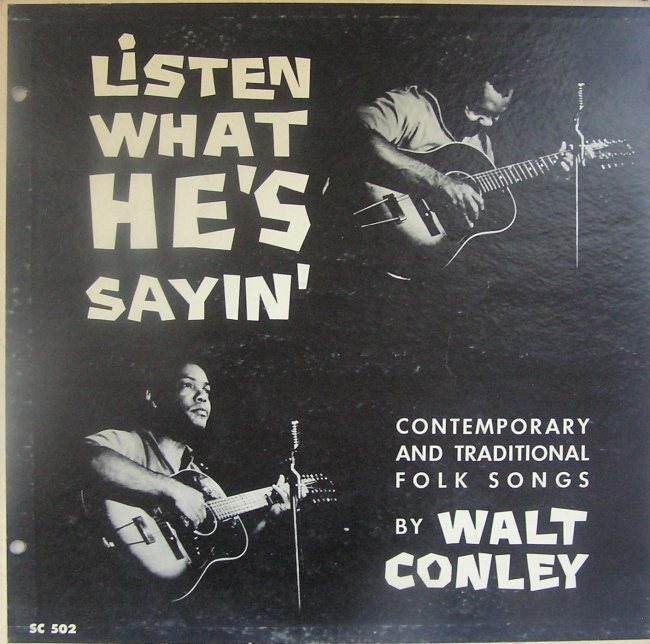 Besides playing at the Satire – he managed to befriend Denver folk singer – the late Walt Conley and through Walt’s generosity shared living quarters with him for a time. We know that Bob resided at the address below – but not sure if this is where Conley resided. It is very close in proximity to the Satire Lounge. (Conley recorded a few long plays and released a couple of singles on Denver’s Band Box Records – He is announced above playing the Little Bohemia on West 38th Street. His reference for Bob’s housing is 1736 E. 17th Ave – I drove by the area – got out – took a few photos and think I know the “little wooden house” is now long-gone. There is a small vacant space next to 1736 where 1732 must have dwelt at one time. 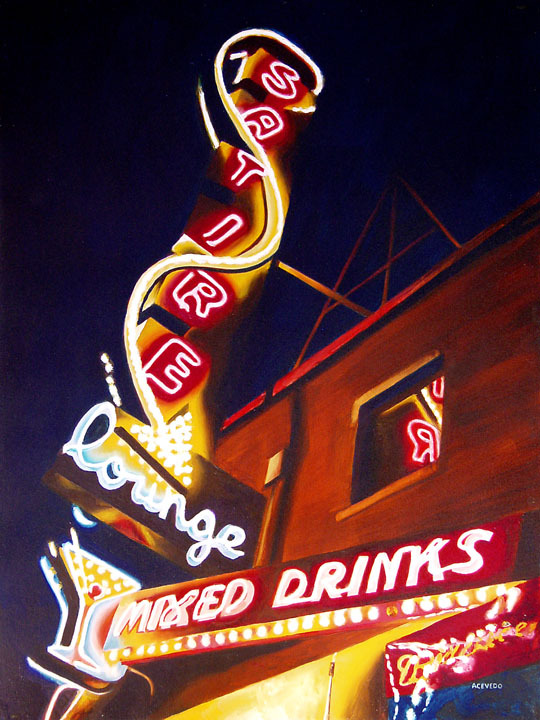 Dylan went on to “his first job as a professional entertainer at the Guilded Garter, a honky-tonk saloon in Central City (a venue where Judy Collins made an early appearance). 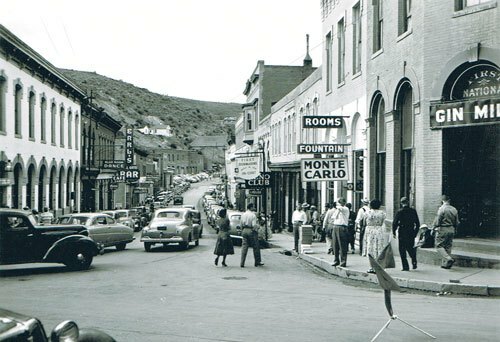 The Garter is now part of today’s Century Casino. I remember visiting the Garter around 1968 or so – folk performers were on stage that day – but I can’t recall who. Certainly it wasn’t Bob (or Judy Collins who also performed there). Back to his time with Conley – Things did not go real smoothly. Conley owned an eclectic record collection – lots of folk no doubt – and Bobby decided to make himself a loan of part of the collection apparently. It seems he was removing the vinyl out of a back side window into an alley when he was discovered! Conley was contacted but declined to press charges since Zimmerman was so young. 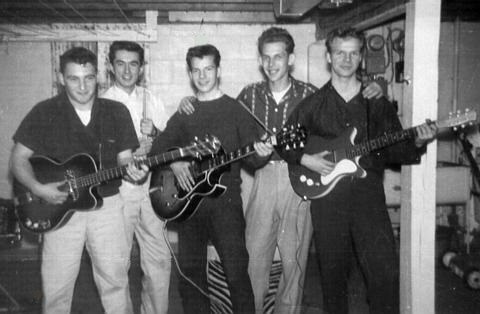 And so Bobby apparently had enough of the Mile High life and headed back to his home state of Minnesota where he would hook up with Bobby Vee’s band for a very short time and then get bored and head out to New York.